Here are the current top 10 holdings of IBB. 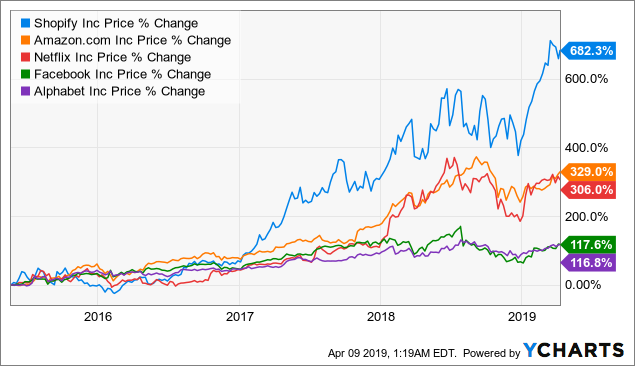 A quick look at the 5-year price charts of the top 3 holdings of IBB below shows that it’s pretty much a hit or miss if you buy individual stocks in the biotech sector. Though Amgen (NASDAQ:AMGN) has proven to be above-average stable, one has got to question whether it makes sense to pay a 13.7 P/E of a 5-year estimated earnings per share growth rate of 2-5.5%. Investors should watch out for high return investments that have done well recently for as long as the last few years. Ask yourself what’s driving their growth, whether the growth could last, or if the stock is too expensive, for instance. For more predictable investing returns, consider value and dividend investing instead. Disclosure: As of writing, I’m long SHOP, FB, AMZN, GOOG, and CELG. Have New Money To Invest? Which Sectors To Buy? Which To Avoid?